Got asthma? Need pollen or food allergy treatment? With America’s Best Care Plus getting started on sublingual allergy drops is as easy as 1-2-3. Contact America’s Best Care Plus to find a sublingual immunotherapy doctor near you, or take this form to your current physician so he/she can start prescribing America’s Best Care Plus oral allergy drops. Once approved for sublingual allergy treatment, you will receive your first series of dropper bottles. Why choose sublingual allergy drops? For lasting results, you need drops from America’s Best Care Plus. They are safer than allergy shots and far more convenient since they can be taken in the comfort of home. 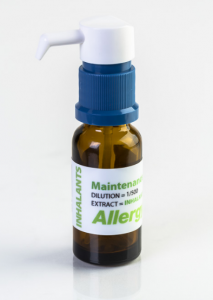 Sublingual allergy drops contain extracts of common pollens and other allergens. The drops absorb into the bloodstream through special cells in the mouth. As you take the drops daily under the tongue, they help your body develop an immunity to allergens so that it will stop overreacting to them in ways that lead to troubling symptoms. In addition to pollen allergies, physicians can prescribe sublingual immunotherapy drops for dog and cat allergies as well as food allergy treatment (including milk, wheat and nut allergy treatment). Print this form and take it to your current physician so they can prescribe sublingual immunotherapy allergy drops.